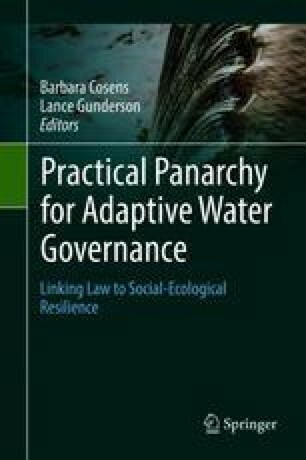 Environmental governance systems must adapt to address increased uncertainty and new social-ecological conditions posed by stressors like climate change. This chapter presents several principles of social cognition and decision-making that influence adaptive governance. The principles are illustrated with examples from six US river basins. Future research opportunities are also outlined. This work was developed in part under the Adaptive Water Governance Project, funded by the US National Socio-Environmental Synthesis Center (SESYNC) under funding from the US National Science Foundation, NSF DBI-1052875. The views set forth by contributors to this volume represent their own and do not represent the views of any public or private entity the contributor is affiliated with.